Lottie was the most unsettled baby I have ever come across. Her first flu at 7 months was a month long ordeal and taking her temperature was an epic task. She wriggled, kicked, bit and screamed as I tried to hold a digital thermometer under her arm for 30 secs and never got a decent reading. The tympanic ones that take temperature from the ear were no better and on the rare occasion she had dozed off and was lying still enough to try this method, she would wake up immediately when it touched her ear and we’d have to start again. 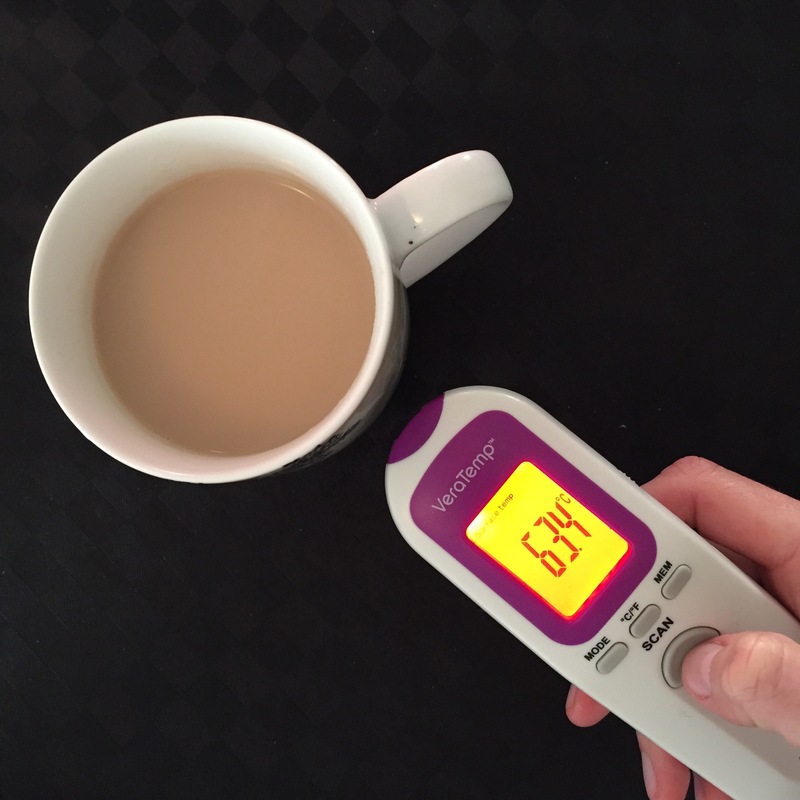 But then I found the VeraTemp no contact thermometer (home use version) at the Baby & Toddler Show 2 years ago and the chaos and exhaustion that comes with a sick little one was made that much easier. Point & Click. That’s it. The VeraTemp Home thermometer not only measures body temp but also surface and room temperature. I’ve measured bath water and bottles as well as feverish kiddos. Oli measured everything from the Xbox battery to his cup of tea when we first brought it home. The VeraTemp is listed on the Australian EvoMed online store and at YourDiscountChemist however you can usually find it on eBay too. Stockists tend to vary. This is not a sponsored post. A contactless thermometer is just one of the most useful tools I’ve come across since becoming a parent and I wanted to share it with others.